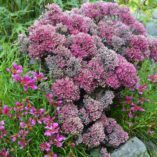 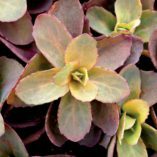 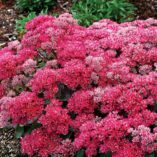 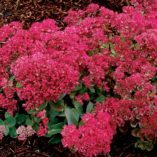 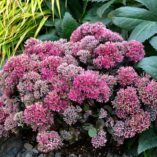 Sedum ‘Dynomite’ | TERRA NOVA® Nurseries, Inc. 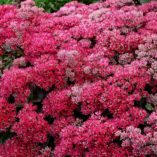 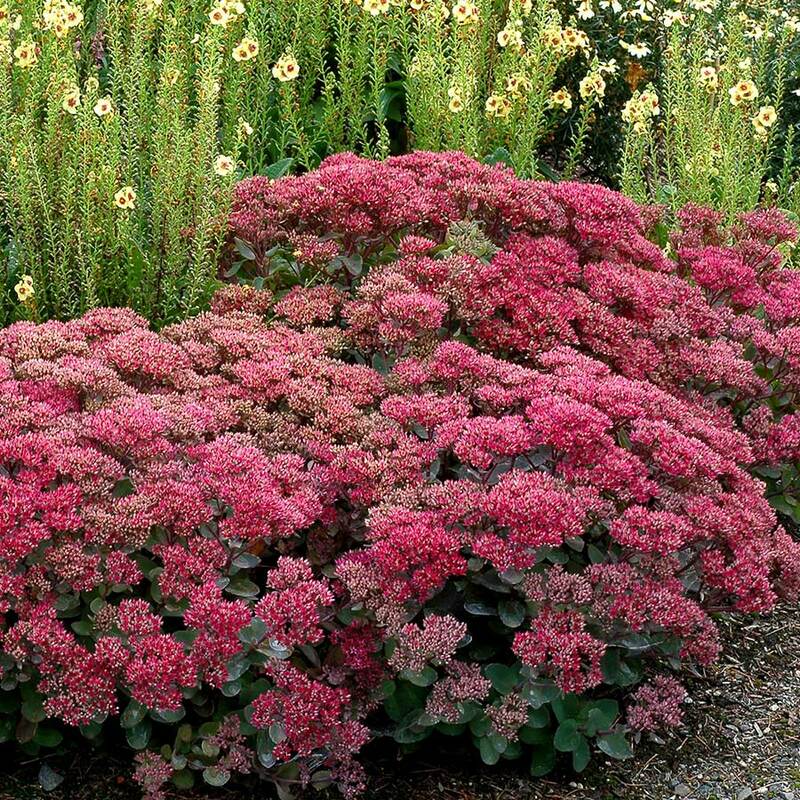 Very short and dense, its best comparison is Sedum 'Hot Stuff'. 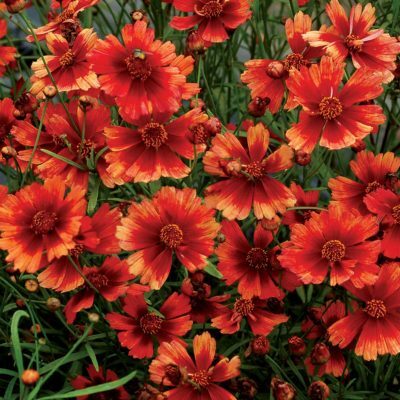 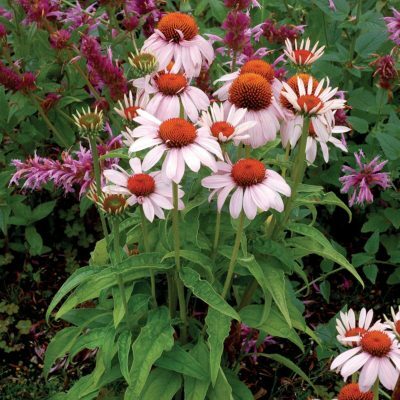 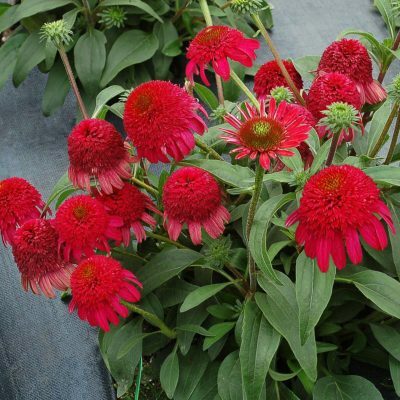 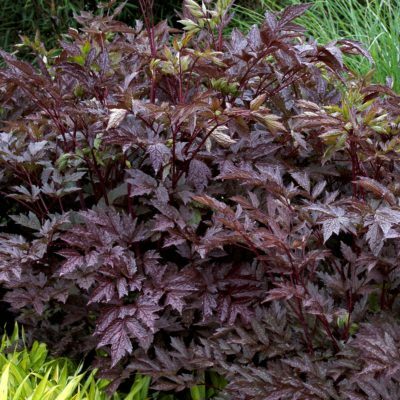 'Dynomite' is more dramatic with deep rose red flowers and dark, dusky foliage. 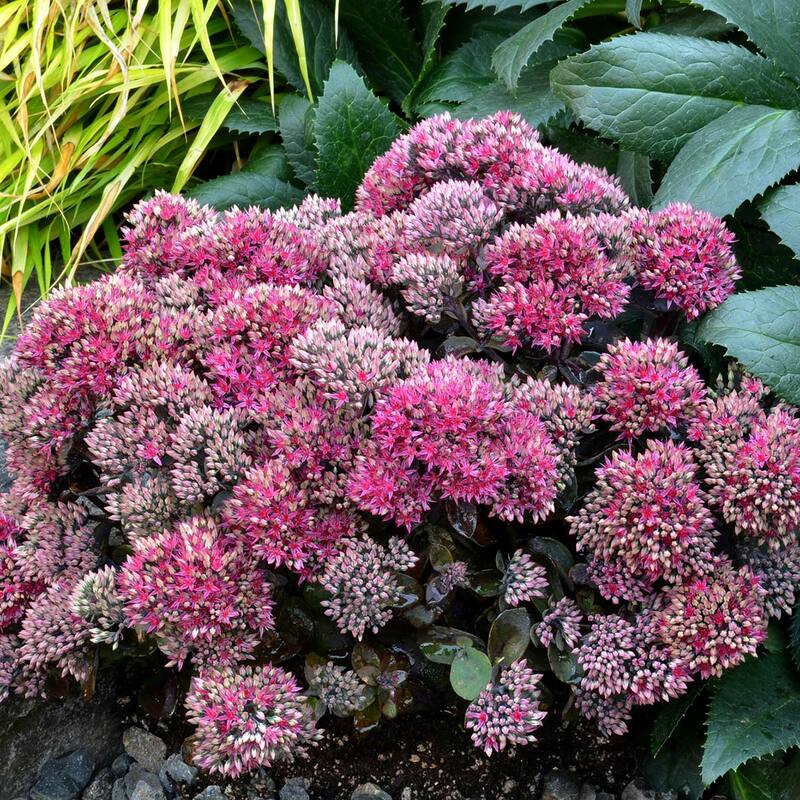 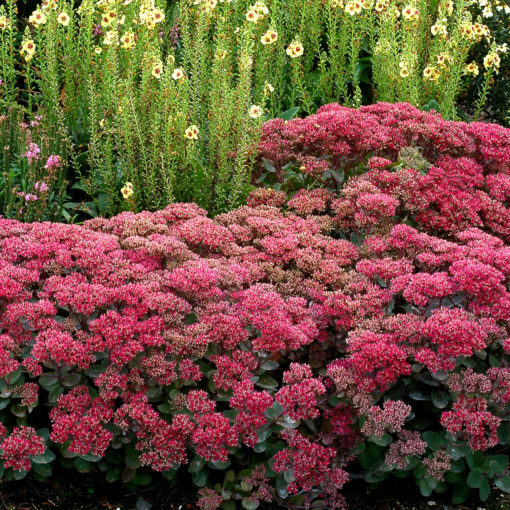 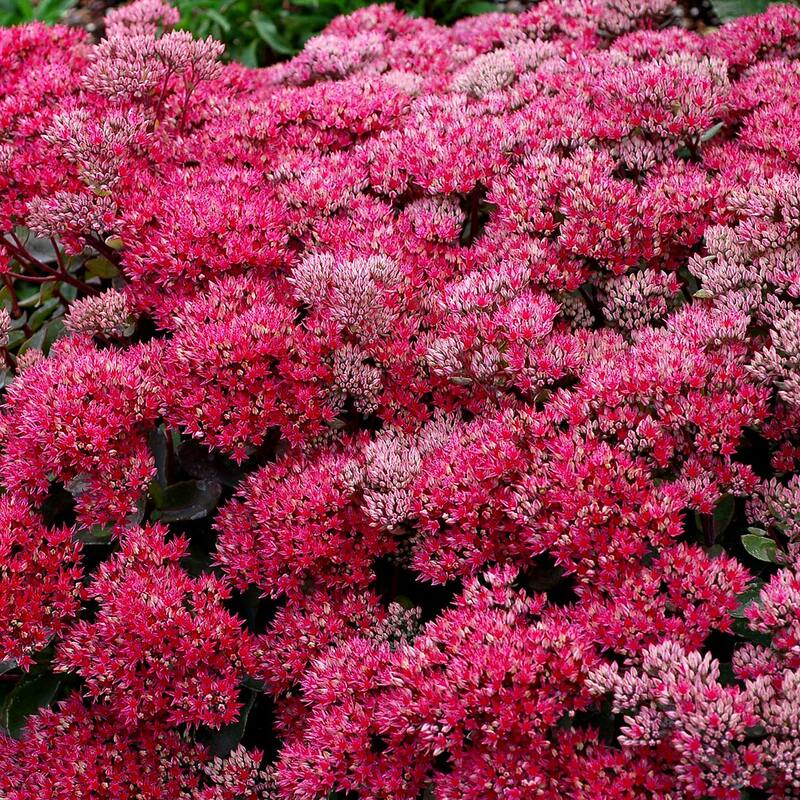 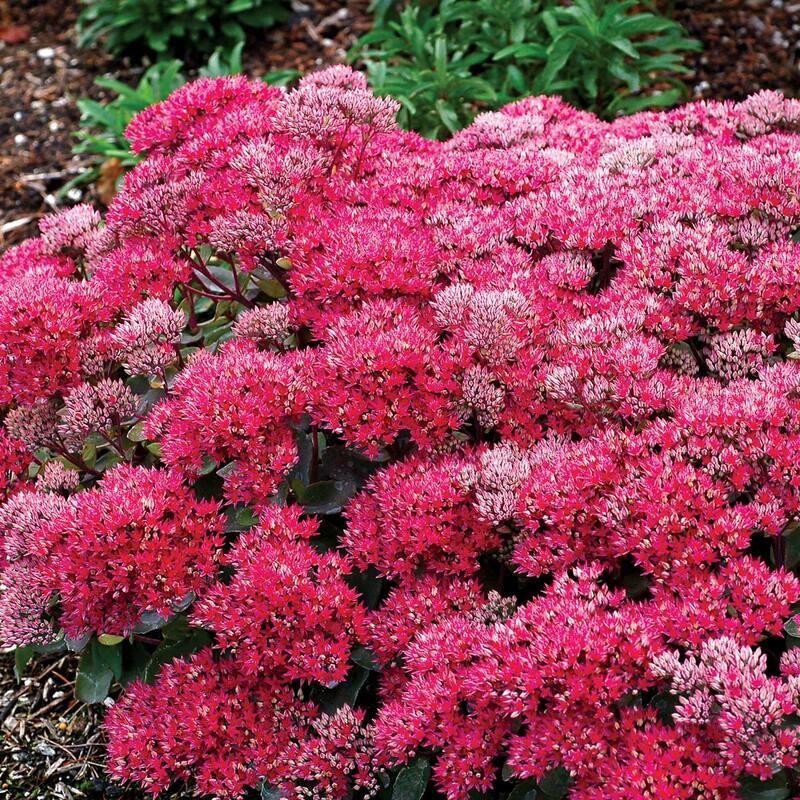 Very large flower heads and stout habit all add up to the best little Sedum TERRA NOVA® has ever introduced. Good things come in small packages. 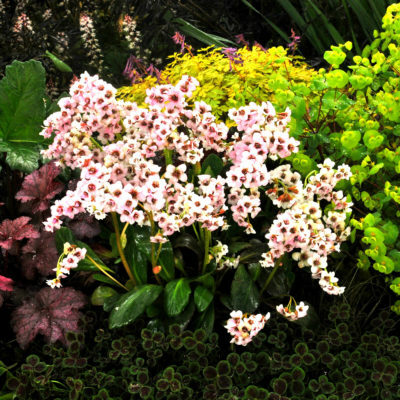 Plant with Heuchera 'Crisp' series for a great match. It truly is Dy-no-mite! 6" / 11" / 7"
Compared to 'Hot Stuff' and 'Beach Party', it is even shorter and denser.